So you’ve got the engagement ring and she’s said yes. You probably have a whole long list of things to do now leading up to the big day. 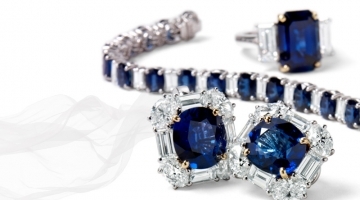 Get wedding rings is definitely on the list, but perhaps not seen as a top priority soon after the engagement. 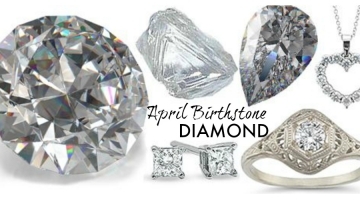 We highly recommend reconsidering that way of thinking as finding the perfect wedding ring that goes with the engagement ring is not as easy is one may think. There are so many factors that go into the design of a wedding band, and just assuming you’ll find the right one may not get you what you need. 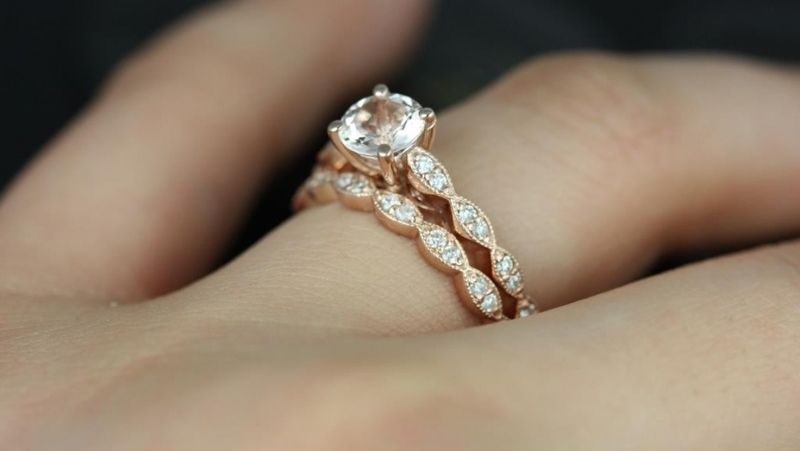 It’s becoming trend to find unique rings and stray away from the traditional styles. This is great if your loved one is as unique as the ring. It probably looks absolutely amazing on her finger, and she loves it to death, but what about the wedding ring? 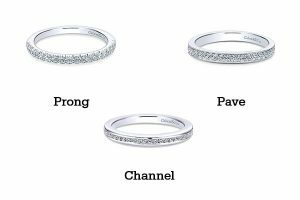 If the engagement ring was designed individually without a matching wedding band, then custom wedding rings will most likely be your only option. There are different elements to be considered for the wedding ring and the list can be quite intimidating. An experienced custom designer is highly recommended as they know the ins and outs of matching wedding rings to engagement rings. 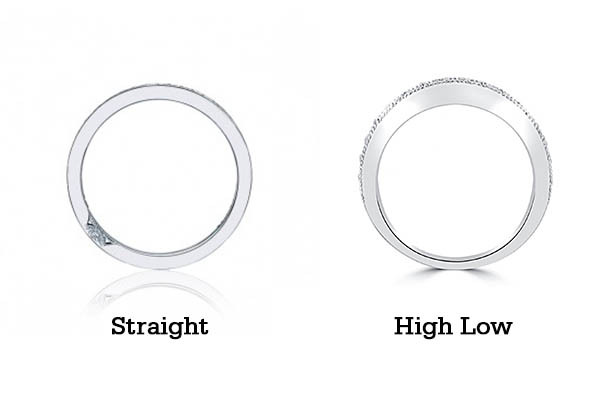 What Are the Different Variables of a Wedding Ring? 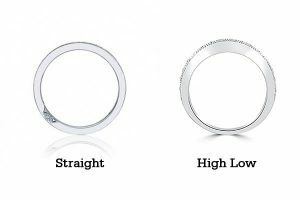 So looking at different wedding rings in a jeweler’s case, you’ll discover all types of shapes, sizes, settings and colors. Take it out of the case and take a closer look, you’ll begin to discover the details that truly allow for the perfect match. Curved – Some unique engagement rings require a curved shaped wedding ring to fill in any potential gaps and to move along the contours. 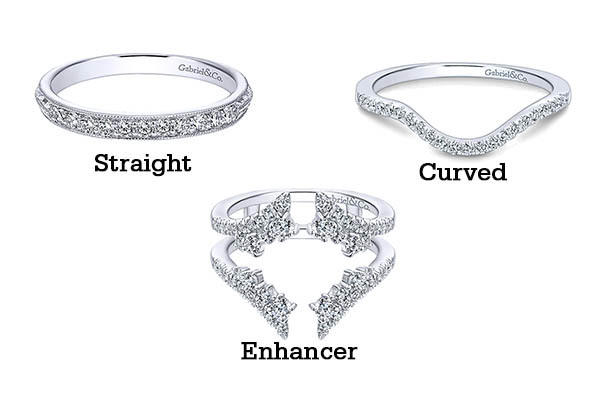 Enhancer – This is essentially two rings that are fused at the base, and allow for the engagement ring to sit pretty in the middle. Straight – The top height and bottom height is equal all the way around. Millgrain – This detail is a beaded edge, created with the metal of the ring. Hand Engraved – This is detail crafted into the external view for beauty or in the internal view for sentimental messages and scripts. Two Tone – Can have two types of ring metals or colors, or even a different metal finish to apply a unique look. 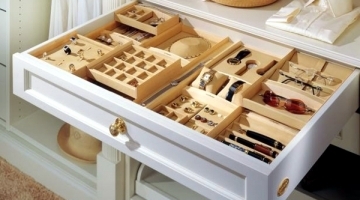 These details are just the beginning steps for any custom jewelry designer. 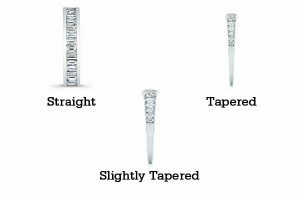 They will need to take direct measurements of your engagement ring both on and off your finger to ensure that everything lines up perfectly. The ideal time to take care of this step is no later than 4 months before the wedding. Custom rings can take 4-10 weeks depending on the details, and you want to have some buffer time between the time you receive the rings and the wedding date as it can sometimes take longer to make adjustments after the ring is initially received. You want to make sure that your ring is 100% ready leading up to the big day so don’t stress yourself out with strict timelines. Give yourself some time to get it right, and you will be saying “I Do” with a smile on your face, especially when that ring is slipped onto your finger. 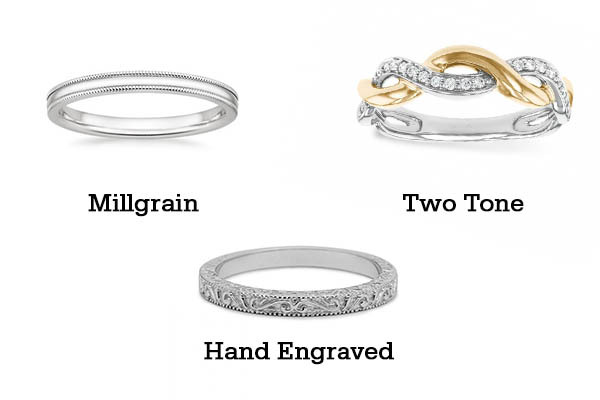 If you are curious to learn more about the process, take a look at our custom jewelry design page or contact J. Douglas Jewelers’ lead custom jewelry designer to get a better idea if a custom wedding ring is the best option for you. Our designer loves working one on one with the couples that come through, and will be happy to consult with you and put together a digital design of the ring to ensure you are satisfied with your custom wedding ring before sending it in to be created.